Captivating arrays of ovals etched out of a single sheet of steel are silhouetted by a light silver fabric diffuser on the inside of this drum shaped series. Completed with an impeccable polished nickel finish. A unique design for any dicor. Suspended from a sleek, chrome rod, the Divo collection is an abstract burst of movement. Magical and memorable, Divos tiny stamped hand-formed polished chrome and nickel-finished disks are designed to scatter and reflect light. Free-flowing arms that twist and intertwine midair can be adjusted and restyled to create new and different shapes on a whim. A fashionable polished nickel finish combines flawlessly with cased opal etched shades, making this Sea Gull Lighting pendant sleek and sophisticated, while the energy saving bulbs make it practical. The 100 watt bulbs give off the ideal amount of light for any indoor application. If you are looking for a bold, new age accent for your home look no further. 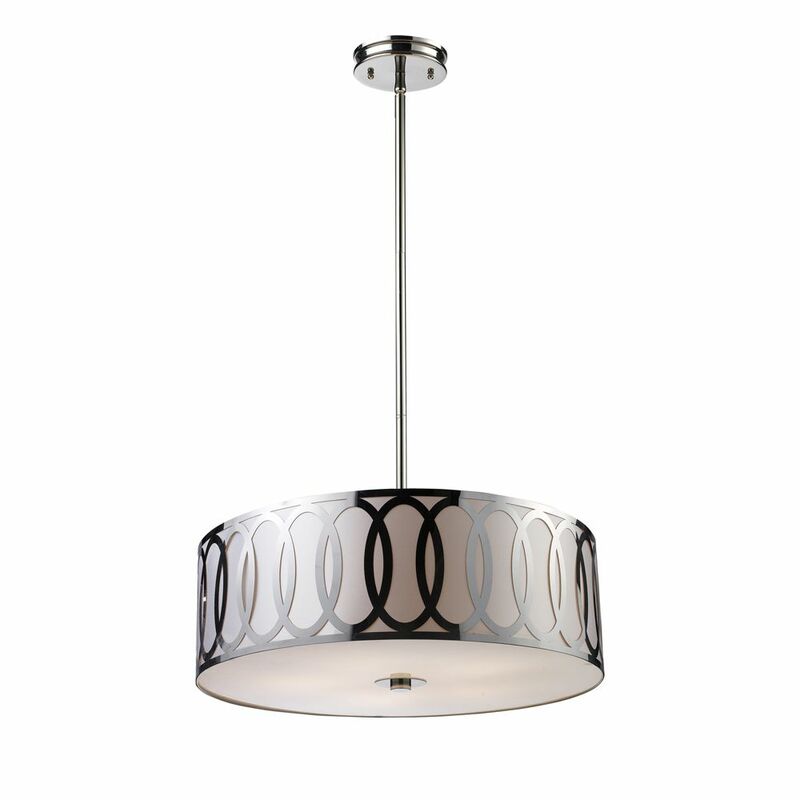 5-Light Ceiling Mount Polished Nickel Pendant Captivating arrays of ovals etched out of a single sheet of steel are silhouetted by a light silver fabric diffuser on the inside of this drum shaped series. Completed with an impeccable polished nickel finish. A unique design for any dicor.